Making Sense of Affiliate Marketing Review – Can You Really Make Good Money? Affiliate marketing is extremely popular these days and hundreds of new people are setting up their blogs and websites each day to work towards building a passive income in the long run. If you’re one who continuously looks for new ideas about efficient affiliate marketing then Making Sense of Affiliate Marketing might have grabbed your attention. I came to know about this program through one of my friends who is actually doing really good with his affiliate marketing adventures. After learning a lot from my friend and other affiliate marketing experts, I’ve now decided to help my followers by putting together a genuine & honest Making Sense of Affiliate Marketing review. Worried about scams? Thinking if Making Sense of Affiliate Marketing is scam? 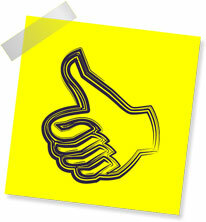 For every online earning opportunity, you first need to make sure that the offer is legitimate. But it may take a number of considerations before making the right decision. I’ll try my best to explain all the important points in this regard so that you don’t have to spend hours searching for the truth. What Exactly Is Making Sense of Affiliate Marketing? Michelle Schroeder-Gardner is the mind behind the Making Sense of Affiliate Marketing. The whole thing is actually a training program for affiliate marketers and is primarily based on Teachable. Providing training to bloggers to help them better monetize their blogs is the primary objective of this program. As far as Michelle is concerned, she is really a talented individual and has a number of achievements to her credit and is best known for Making Sense of Cents, an award winning blog. An unbelievable score of $1.5 Million goes to her credit as last year’s sole income through the blog. The course comprises of more than 30 lessons divided into 6 modules. In addition, it offers bonuses, worksheets, and access to a really helpful Facebook group. This is a comprehensive affiliate marketing training program the likes of which I haven’t seen in a long time (aside from Wealthy Affiliate of course). The good thing is that the package offers access to some valuable Facebook groups where many experts share their knowledge to help the members grow well in this field. There is just a little confusion because most of the people take it as a program open for all affiliate marketers. The truth is, Making Sense of Affiliate Marketing is mainly aimed towards bloggers. So if you are a blogger or want to become one, you may benefit from this training program in an attempt to grow your audience and make the most of it. But take note that if you don’t have a blog or if you’re very new to blogging, this particular training program might not generate you the desired results. Its course content is suggestive of the fact that it is specifically for the bloggers who have experience in this field and are successfully running a few blogs. How Does Making Sense of Affiliate Marketing Work? As mentioned above, if you still don’t have a blog, then I would recommend first gaining experience as a blogger. A good place for you to start is my step-by-step guide on starting a blog & making money. The price, to me, is fairly justified. This training program is far beyond the conventional training programs I come across every now and then (though in my opinion Wealthy Affiliate is more in-depth overall AND you get the tools there). But Making Sense of Affiliate Marketing really does offer top-quality training, valuable content, and you also get the company of experts via their Facebook groups. You don’t have to pay anything extra to access the exclusive groups where members are ready to share their knowledge and experiences. Once you’ve paid $197, you don’t have to worry about extra costs. The great news is that Michelle herself remains really active in the exclusive Facebook groups. I really love everything about Making Sense of Affiliate Marketing but I’d love to see it more dynamic in the future. In my opinion, video demonstrations and orientations would make this course even better. At the moment, I don’t see any video tutorials in the course content but I really hope that Michelle will consider this idea. Video demonstrations in my opinion are much more useful compared to the screenshots and written content, obviously written content is vital but I feel it should be supported by something even better. And nowadays because of the likes of YouTube, most people prefer to learn through video demonstrations rather than just reading written content. The worksheets are also not editable which means that you have to print them out and then work on the sheets. As a result of that the whole process could take much longer than it should. I’d also love to see Michelle updating her training course to help the beginners or the people who really want to get started with their blogs but haven’t yet materialized their ideas. At the moment, the training course doesn’t seem to offer anything to those who don’t have their own website or blog. My Verdict – Is Making Sense of Affiliate Marketing a Scam? Making Sense of Affiliate Marketing is definitely not a scam. 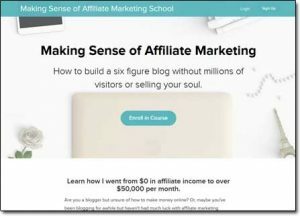 It’s a top-quality training program & it’s been put together by a popular award winning blogger who knows the ins and outs of blogging and affiliate marketing. If you have a blog or a website and its doing good in terms of traffic then this is the type of product you should be paying for as it will definitely help you learn how to better monetize it. The price is highly justified and there are no hidden charges. Making Sense of Affiliate Marketing is actually one of the best affiliate marketing training programs I’ve come across in a long time and it almost comes close to my all-time top recommended program Wealthy Affiliate… But because of the fact Wealthy Affiliate provides the tools you need & is also more geared towards newbies that is still remaining in the top spot. Then there’s also the fact that you can get started at WA without paying anything upfront too. But still the Making Sense of Affiliate Marketing program is very good & if you do have a blog I’d still highly recommend it as it’s not all that expensive in terms of the value it provides for your money. Secure Job Position Review – Another Work From Home Scam?